Join me November 28 & 29 for our annual Holiday open house! I will be open both days from 11-5 showing all my new work. Featuring landscape paintings, artist cards, pottery (made by my son Josh), glass and sculpture. Come check out all the great hand-made gift ideas! I will be open by chance or appointment for the rest of this year and through the winter, so let me know if there’s another time you’d like to stop by. “Backroad Craft” comes to the L.E. Shore library! Winter’s Gift on at the BMFA in Collingwood! New work in time for the holidays! 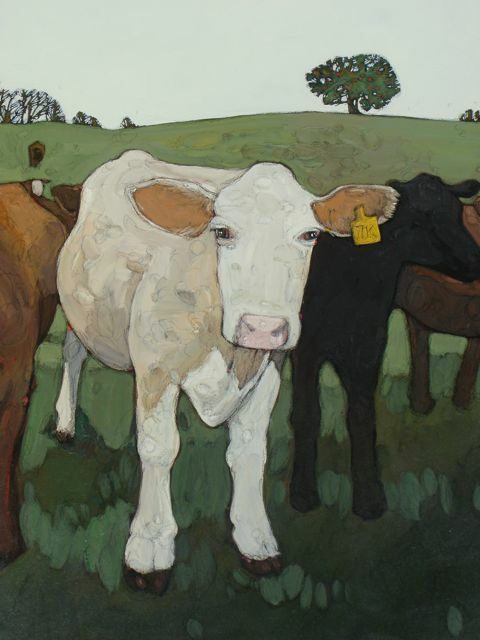 “Waiting for Pomace” is a painting commissioned by Beaver Valley Cidery. It’s featured on both posters and shirts available for sale at the cidery. Proceeds go towards supporting our local Beaver Valley Outreach in their fabulous community programming! Shows my rock birds and short wine glasses, as well as featuring some brand new landscape paintings. Stay for a cheese tasting! Yum! Has a lovely selection of sculptural work and figurative paintings. Enjoy a drop-in yoga class! Shows my small glass tumblers, short wine glasses, rock birds and other great gift ideas. Check out all the local produce, organic meats, and wonderful products!